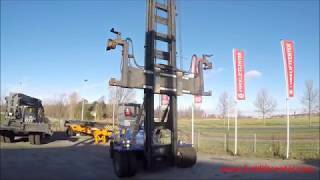 FORKLIFTCENTER BV is proud to be able to say it is completely brand-independent, so can provide competitive prices for new as well as used forklifts of all sorts and with a capacity from 1-60 tonnes. At all times around 200 used forklift trucks are in stock, so the company can always offer direct assistance. 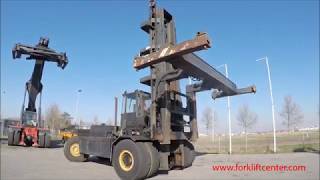 We know you expect quality when you buy from Forkliftcenter and you should. In fact, our professional in-house team is dedicated to exceed your expectations, making sure that every piece of machinery which leaves our home base in Amsterdam is property serviced and checked before departure. This stringent quality assurance policy serves as a further guarentee that your equipment will be functioning to the max from the moment it arrives. 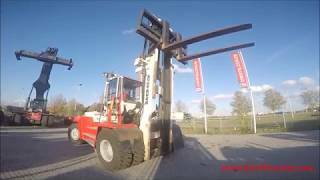 A-brand forklift trucks are offered such as Kalmar, Hyster, Terex, SMV, Svetruck, Caterpillar, Linde, BT Toyota, TCM, Komatsu, Yale, Nissan, Mitsubishi and other brands. 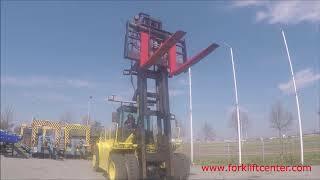 FORKLIFTCENTER BV's headquarters are located in the Amsterdam Port area. Our state-of-the art facilities enable us to provide comprehensive servicing and a wide range of forklifts, reachstackers, container handling- and terminal equipment from 1-60 tonnes.